I’ve been in lending for almost 20 years and a question I receive from friends, family, and acquaintances alike is often the same, “how are the rates?” Well, this all depends on many factors, but it is mostly dependent on what YOUR situation is and what YOU’RE trying to accomplish. You’d have to have lived under a rock the last couple of years not to know how low rates have been — and not just low, but HISTORICALLY LOW. But, over the last three months, it’s been well publicized that “rates are going up”…again, from a historical low. Just because rates are rising doesn’t mean they’re high, it just means they’re higher in some capacity than what they were yesterday. Not to mention many factors go into determining the rates, as well: credit scores, loan to value, type of occupancy, length of loan term, etc. So consider this: if you’re trying to purchase a new home and you’ve found the house of your dreams AND it’s in your budget, then the rates should be good for you! 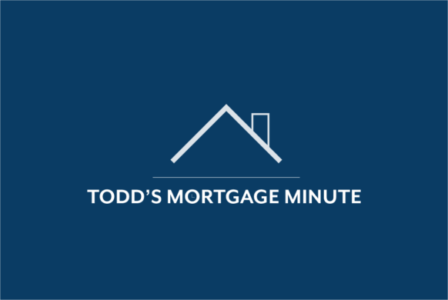 Or, if you’re looking to refinance your current mortgage to save money each month by securing a lower payment and rate, then the rates should be good for you, too! Remember, none of us in the industry can tell or predict what the rates will be tomorrow or anytime in the future, we can only share what they are today, and if it meets your needs and is better than what you have, I would say the rates are good! great blog. buyers get bogged down with bad news press and sometimes find it too discouraging to buy a house. This puts some perspective on the reality of the rates.